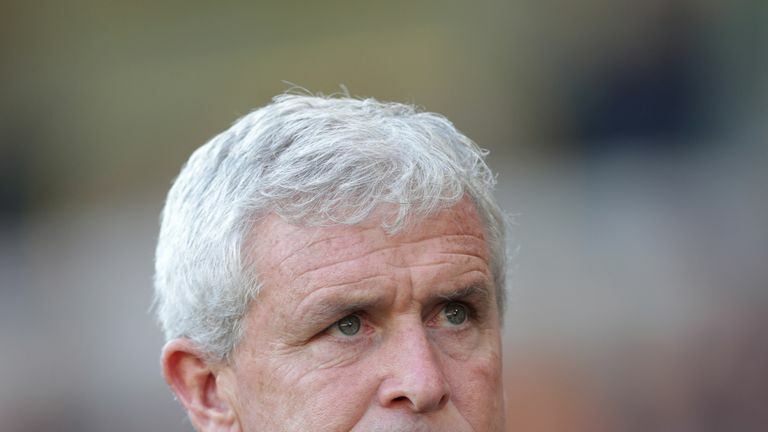 Mark Hughes says he empathises with everyone connected with Leicester City following the death of owner Vichai Srivaddhanaprabha. Hughes was at Chelsea when the club's vice-chairman Matthew Harding was killed in a helicopter crash on the way back from a League Cup tie at Bolton in October 1996. Former striker Hughes, 53, played in a game against Tottenham only a few days later. Speaking ahead of Southampton's Premier League match against Manchester City on Sunday, Hughes said: "It does affect the club and the players themselves, but what you find in football is you have to get on with your football life and your personal life, you have to deal with tragedy and change. "It will take time, given the circumstances, but everybody will I am sure heal in their own time. "It was really sad times for everyone connected to the club. We'd played a night match in Bolton and were travelling back and heard the tragic news that a big presence at the club had lost his life. "The club came together as club and a team and you make decisions that you think were right at the time. "We as players just wanted to do well for the memory of Matthew Harding, and that is how we approached it." Leicester's game at Cardiff is going ahead on Saturday one week after the crash which killed five people and Hughes appreciates how difficult it will be. "I am sure the Leicester players, playing at the weekend, will want to make sure they perform well and give the appropriate response," he added. "Everybody feels for everybody who has been personally and directly affected. Clearly family and people close to Leicester are going to feel this for a long, long time. "We send our best wishes as does everybody connected to football. We feel their pain and their hurt, it's a real tragedy. It's not easy and football clubs, people and fans need time to heal."